Corporate polos need to be designed with a range of purposes in mind. From the board room to the golf course, a good corporate polo must be comfortable, professional and readily associated with your brand. We take great care in designing polo shirts that strike a balance between casual and formal. 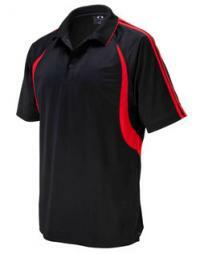 Branded has deep experience custom-manufacturing polo shirts for our clients, meaning your options are limitless. For example, on the fabric alone we can do classic pique fabrics, double-piques for a heavier knit feel, sportsmesh and cotton-backed sports fabrics, microfibres or blends. There are further choices on cuts, panels, sleeve and cuff details, side slits and buttons. The final piece is to ensure your logo and branding is displayed cleanly and prominently in a way that best reflects your image, whether through high-end embroidery, vibrant screen printing or one-of-a-kind sublimation. 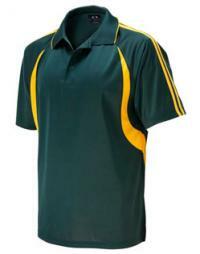 See our sections on polo shirts under officewear and sports and team wear for more examples of our expertise with polo shirts. It would be our pleasure to talk about your options and help you design the perfect polo shirt for your business needs.